Do you ever get the feeling, like Chicken Little, that the sky is falling and there’s no way to survive? Or maybe you feel a recurring feeling of choking, chest pain, or shortness of breath that comes out of nowhere and goes away just as suddenly. When it comes to panic attacks, you may not even realize that’s what you’re experiencing until you’re in the ER waiting to be seen for symptoms that have gone away and left little or no trace. Panic Attacks are very real, but the symptoms can vary from person to person. For some, they may feel as overwhelming and painful as a heart attack, while for others it could feel more like an asthma attack. No matter what your symptoms, panic attacks can be a sign of related problems, so it’s important to see a psychologist and begin treatment because, even if your symptoms are mild, they can lead to other health problems as time continues. But how do you know what you’re experiencing is a panic attack? Read on for panic attack basics and what you can do about them. Panic attacks, historically, have received a bad reputation. Many people who experienced panic attacks were deemed hypochondriacal or “prone to hysteria” rather than diagnosed with a mental health disorder. Thankfully, modern medicine realizes that panic attacks are a legitimate health concern with both mental and physical effects. According to the Anxiety and Depression Association of America, panic attacks are “the abrupt onset of intense fear or discomfort.” Generally, the attack reaches its peak within a few minutes and can be accompanied by a variety of different physical and mental symptoms. However, just because you may only experience mental symptoms, that doesn’t mean your body is getting off scot-free and you shouldn’t worry about being seen by a psychologist or other health professional. Those who experience panic attacks, also called anxiety attacks, generally also experience anxiety or depression in other forms as well. In essence, if you have trouble controlling your worry and anticipate disaster with everything from health and work to money, relationships, and more – really, if you worry a lot and you have a hard time tamping it down or controlling it, you may have Generalized Anxiety Disorder. And, if you have GAD, you may also experience panic attacks. As we mentioned above, panic attacks come with a variety of different symptoms, so your experience with panic attacks may differ pretty drastically from a friend or family member who also experiences panic attacks. 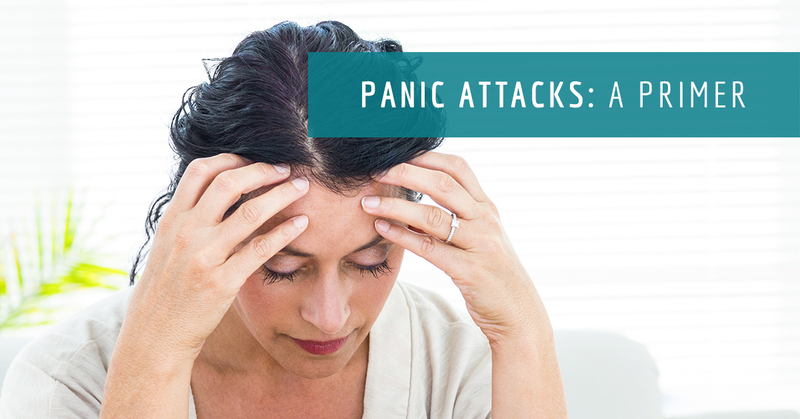 Some of the most common panic attack symptoms include an accelerated heart rate, chest pain or tightness, nausea, dizziness, chills or hot flashes, sweating, and feelings of numbness or tingling. Those physical symptoms are often accompanied by an all-encompassing or overwhelming fear of dying, losing control, or “going crazy,” as the ADAA reports. And, of course, the list above is not an exhaustive one, so if you experience one or two of the above symptoms as well as a few others, you may still be experiencing panic attacks. For the sake of your health, even if you only experience a couple of the above symptoms, it would be a good idea to see a psychologist for an anxiety test and diagnosis. Panic attacks and Generalized Anxiety Disorder are both issues that generally come to be slowly over time; this often happens so subtly that you don’t even realize it until you’ve gone through several panic attacks. However, once you’ve noticed this change in yourself, it’s important to get treatment before those mental and physical symptoms lead to further health concerns – and, of course, to treat the panic attacks so you can live without them looming over you. Treating both anxiety and panic attacks will vary from one individual to the next, so don’t rely on whatever treatments you find online. If you feel like you are experiencing panic attacks or an anxiety disorder, it’s important to get treatment and begin the healing process. 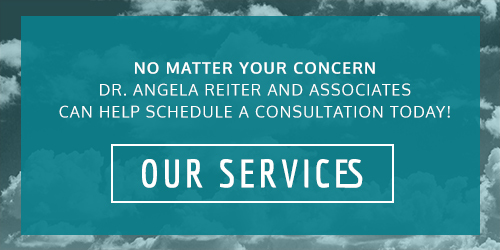 Call the expert team at Dr. Angela Reiter and Associates. Our initial consultation process will help us diagnose your symptoms and together we will discuss the best way to treat your symptoms and the underlying cause. Call us today to schedule your consultation!